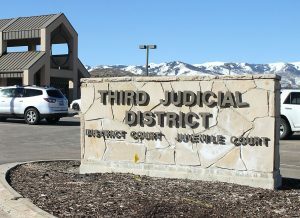 Adult education services in Park City will have to revamp their preparation processes now that the General Education Diploma (GED) program released materials for the new GED test beginning Jan. 1. According to Marty Kelly, the Utah GED testing coordinator, the new test will be more career- and college-focused and deeper rather than broader when it comes to content. "It will be more rigorous than what we have had in the past, and it is based on the new CORE education standards," Kelly said. "It is also based on college and career readiness, so it will look better on an application for employers or post-secondary applications." The computer-based test will have a larger variety of test options, so people will be able to take it more frequently, she said. While people can currently take the GED three times a year, it will increase to six times a year on the computer and may increase as it goes forward. Kelly said the new test will definitely take more preparation due to an increase in writing and testing across disciplines rather than several sub-tests. The Park City Learning Center is one place in town that offers adult education classes to prepare for the GED. Judy Tukuafu, the center’s director of community education, said they now have the new materials and information about preparing for and registering for the test. "It’s not a requirement to go through an adult education program in order to take the test, but I do encourage people to prepare. It is a difficult new exam that requires more depth of knowledge," she said. "The new exam is more a reflection of the current high school curriculum with somewhat more writing." For example, she said, in the past, the test required multiplication of fractions, but now it may ask test-takers to read an example and figure out what it is that they need to multiply instead. The test will ask more to interpret what something means rather than just knowing and memorizing facts. Kelly said GED test scores will now be called "smart transcripts" that will show test-takers what their strengths are and where they need to study further. "If they pass, the ‘smart transcript’ will tell them what skills they need to enhance for college admissions," Kelly said. Writing skills are going to be tested more thoroughly with the new GED test, according to Tukuafu. In the past, there were five sections of the GED test, and one was a long essay. "That is no longer in the test, but there will now be several shorter essays. There is still writing in the test, it has just changed," she said. 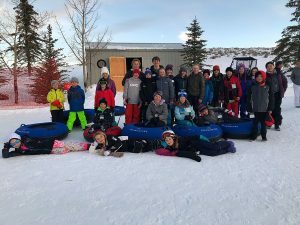 Tukuafu began working at the Park City Learning Center in 1998 and said this is the second time she has seen a change in the GED test, the first being in 2002. She said the changes are made every 10-12 years in order to keep up with the most current trends in curriculum. Kelly said the content of the test has changed, but the cost remains the same: $120, which is $30 per module. 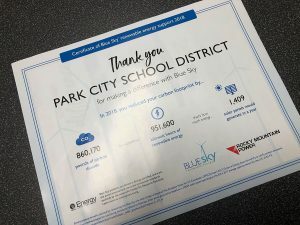 She said there are 17 testing centers throughout the state of Utah, and all of the registration and scheduling will be done for the tests online. For those without access to a computer or Internet, Kelly said there are libraries, schools and housing authorities they can visit and sign up for the GED test at. Tukuafu said it has become a very tech-based process, and the GED is trying very hard to have as much information as possible online now. She added that those who want to register for the GED program at the Learning Center can pay $40 for test preparation on Mondays, Tuesdays and Wednesdays for one year as long as they have proof of their permanent residency in Utah and they are over 18 years of age. Tukuafu said people that have not completed the current test by the end of the year will have to start all over again with the new test, so the best thing to do is to check online to know more about the new test, where testing centers are located and what testing dates are. "I really encourage anyone taking the new GED test to study and prepare," she said. "We are here to provide that for everyone taking the test, and we are happy to help as best we can." For more information on the new GED test, visit http://www.gedtestingservice.com . 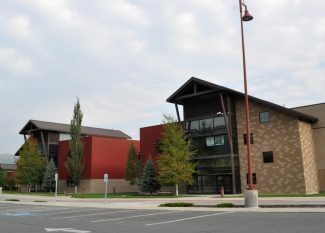 To sign up for adult education classes at the Park City Learning Center, visit http://www.pcschools.us/index.php?page=91 or call 435-645-5626.